Guilford Savings Bank has proudly stood as a trusted institution from 1875, when they started with a $17,000 investment and one branch, to now as a six-office, $700 million bank. 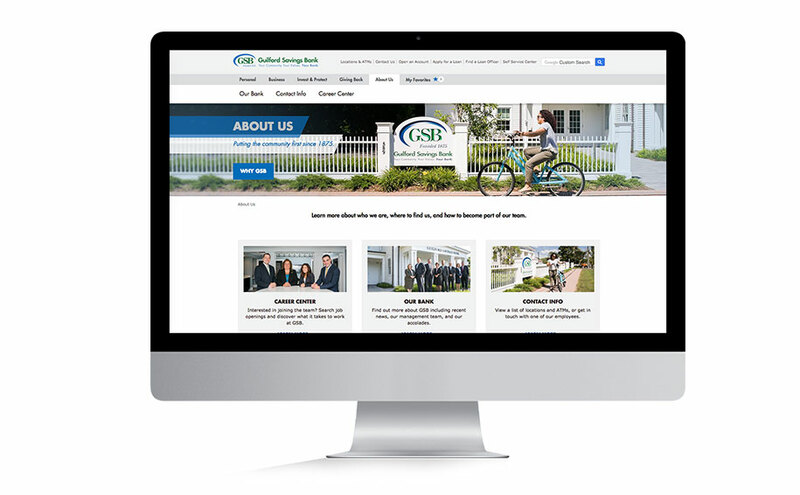 Our agency partnered with Guilford Savings Bank to design and develop a new website for their bank. The new, mobile-friendly website, which includes a Product Selector Tool, resulted in a 170% increase in new users. Mediaboom has extensive experience working on digital marketing for banks like GSB. 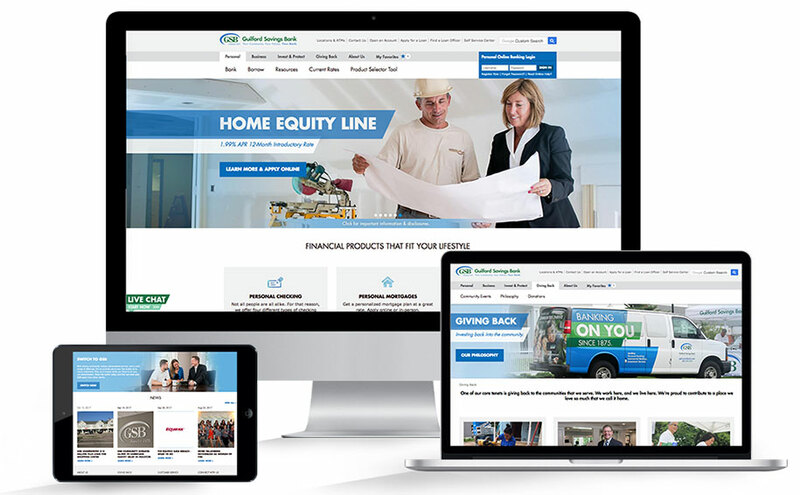 For this project, Guilford Savings Bank was looking to update their corporate website to modern web standards and selected our agency to design & develop the site. 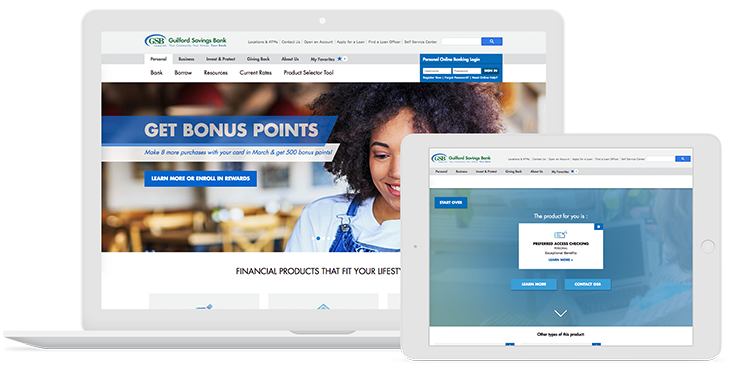 Mediaboom created a responsive website for GSB that includes new features to make online banking easier and more accessible than ever before. 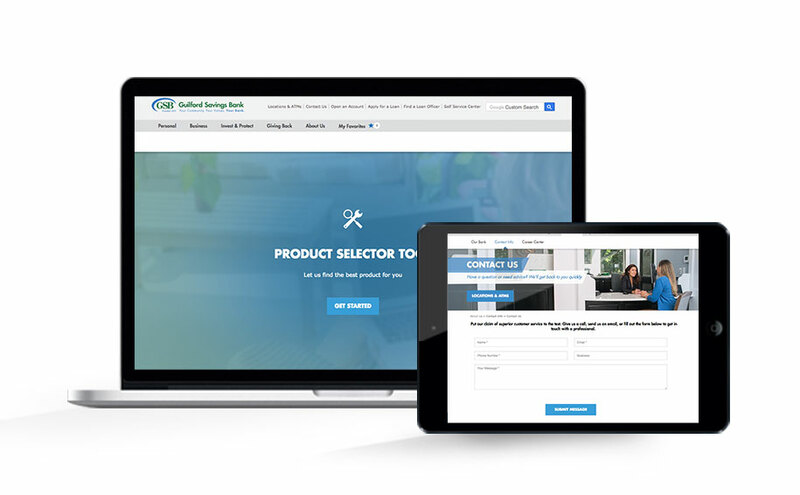 With the addition of a Self Service Center and Product Selector Tool, GSB customers now have the ability to access convenient online banking tools right at their fingertips – on any device.